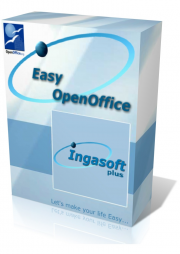 EasyOpenOffice ver 1.05 released!!! New demo. Remarks: Libraries were re-compiled fo CW 6.3 9056. SaveAs method - GPF on repeated calls. Init method - the pDebugMode parameter is now omittable, as described in the documentation. AddGraphic (EasyWriter) - incorrect image size when default image size is used. SetFormat method - GPF on repeated calls. Kill (EasyCalc) - added pTerminateOffice parameter. Kill (EasyWriter) - added pTerminateOffice parameter. PrintDocument (EasyCalc) - a pWait parameter was added. PrintDocument (EasyWriter) - a pWait parameter was added. CreateTable (EasyWriter) - an optional pTableName parameter was added. SetFontStyle (EasyCalc) - a pColour parameter was added. SetFontStyle (EasyWriter) - a pColour parameter was added. SetCellFontStyle (EasyWriter) - a pColour parameter was added. GetCurrentRange (EasyCalc) - parameters type was changed from LONG to ANY. CopyText - copies selected text from OpenOffice document into clipboard. PasteText - pastes text from clipboard into OpenOffice document. SetPageBreak (EasyWriter) - inserts a page breaks into Writer document. SelectTable (EasyWriter) - selects an existing table in the Writer document for the processing. GetTableName (EasyWriter) - gets a table name of a currently selected table in the Writer document. ExecuteDispatch - execites an OpenOffice internal commands as they appears in the macro editor. SetRangeBackColour (EasyCalc) - sets background colour of currently selected range of cells in a Calc sheet. SetPageHeader (EasyCalc) - sets or removes page header in OpenOffice Calc documents. 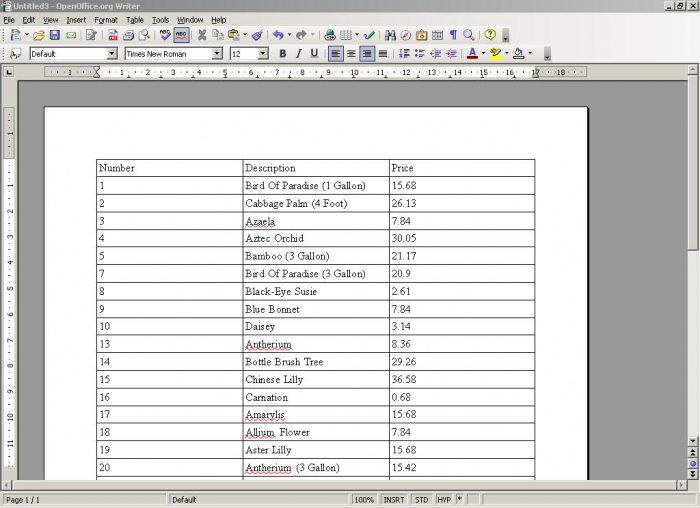 SetPageHeader (EasyWriter) - sets or removes page header in OpenOffice Writer documents. SetPageFooter (EasyCalc) - sets or removes page footer in OpenOffice Calc documents. SetPageFooter (EasyWriter) - sets or removes page footer in OpenOffice Writer documents. SetRows (EasyCalc) - sets the range of rows if the Calc sheet. SetColumns (EasyCalc) - sets the range of columns if the Calc sheet. FreezePanes (EasyCalc) - freezes panes with the specified number of columns and rows. SetScreenUpdating - turns on/off screen updating during data export. WritePageHeader (EasyCalc) - writes text to different parts if page header in Calc documents. WritePageFooter (EasyCalc) - writes text to different parts if page footer in Calc documents. WritePageHeader (EasyWriter) - writes to page header in Writer documents. WritePageFooter (EasyWriter) - writes to page footer in Writer documents. SetPageMargins (EasyCalc) - sets page margins. SetRowHeight (EasyCalc) - sets the row(s) height in the current range. Print code template (EasyCalc) - a Wait and Print preview parameters were added. PageSetup code template (EasyWriter) - a header and footer tabs were added. SetFont code template (EasyWriter) - font colour added. SetFont code template (EasyCalc) - font and cell's background colours were added. KillWriter code template (EasyWriter) - a new termination mode added. KillCalc code template (EasyCalc) - a new termination mode added. Print code template (EasyWriter) - print current Writer document. GetText code template (EasyWriter) - get selected text form Writer document. SetPageBreak code template (EasyWriter) - inserts a page breaks into Writer document. PageSetup code template (EasyCalc) - set page properties, page header and footer. Libraries were re-compiled fo CW 6.3 9055. - NewDocument (EasyCalc) - added pHidden parameter. - NewDocument (EasyWriter) - added pHidden parameter. - OpenDocument (EasyWriter) - added pHidden parameter. - OpenDocument (EasyCalc) - added pHidden parameter. -InsertDataSource (EasyWriter) - inserts a new datasource into OpenOffice.org Writer. -SetParam (EasyCalc and EasyWriter) - sets the pairs "parameter" - "value" to the different EasyOpenOffice methods. -InsertDBField (EasyWriter) - inserts a database field into a current cursor position. -MailMerge (EasyWriter) - performs a mail merging of Writer document. -SetViewSettings (EasyWriter) - provides access to the settings of the appearance of an office document. - InitWriter code template (EasyWriter) - added an ability to open documents in a hidden mode. - KillWriter code template (EasyWriter) - added "Terminate OpenOffice" checkbox. - InitCalc code template (EasyCalc) - added an ability to open a workbook in a hidden mode. - KillCalc code template (EasyCalc) - added "Terminate OpenOffice" checkbox. - TextFields code template (EasyWriter) - added a "Database" type of field. 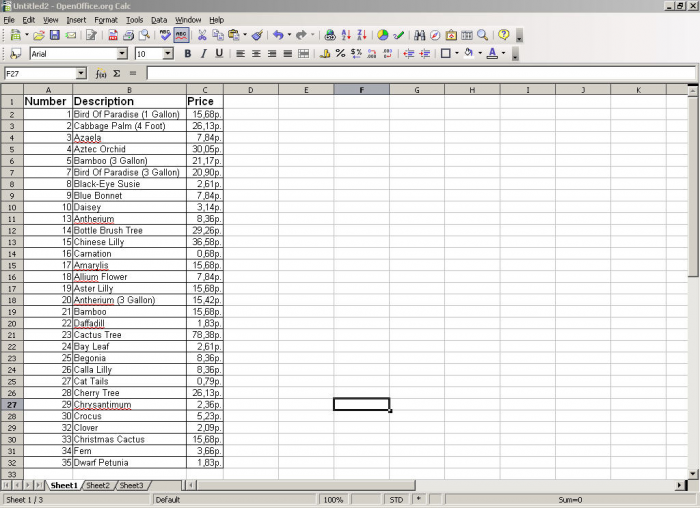 - InsertDataSource code template (EasyWriter) - inserts a new DataSource into OpenOffice.org. - MailMerge code template (EasyWriter) - performs a mail merging of OpenOffice.org Writer document. - SetViewSettings code template (EasyWriter) - provides access to the settings of the appearance of an office document. EasyOpenOffice is a set of classes and templates providing you an ability to use OpenOffice / LibreOffice (Calc and Writer) from your Clarion applications.